Adorn the neglected corner in your dining room or living room with the innovative design of this gorgeous, handcrafted buffet. With its triangular back, the buffet will fit in any corner in your home. 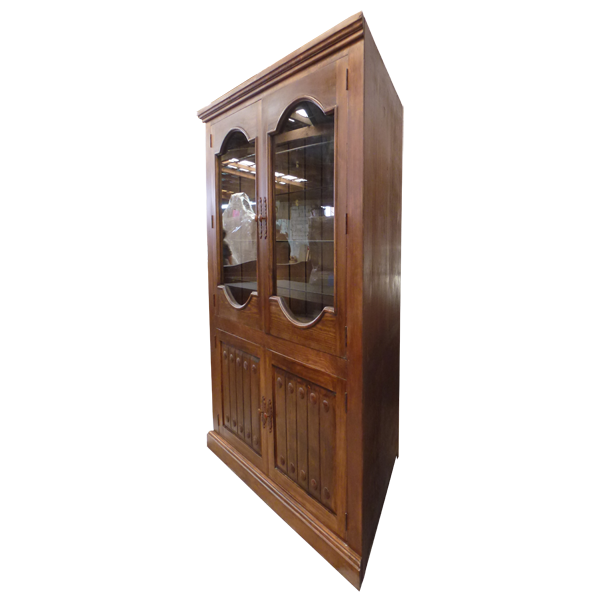 The buffet has a staggered, solid wood, crown molding, and below the molding are two, large, geometric shaped doors covered with beveled glass. Each door has a hand forged, iron, pull handle on its side. 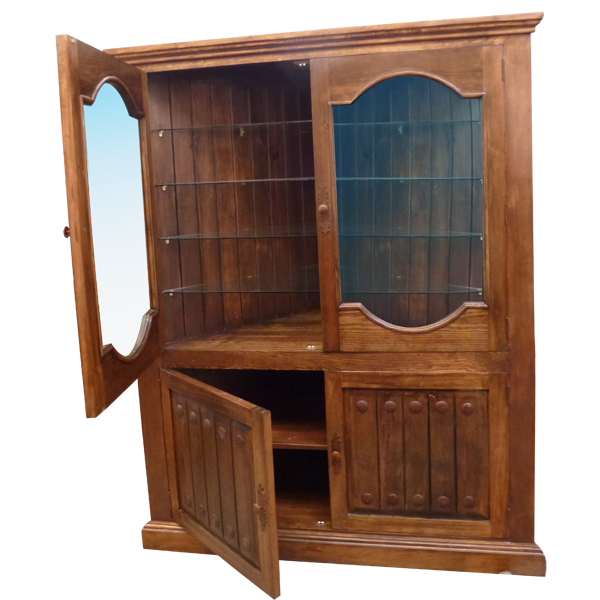 The lower portion of the buffet features two, smaller, square doors, and the top and the bottom of each door are adorned with hand forged, iron conchos. Each door has a hand forged, iron, pull handle on its side. 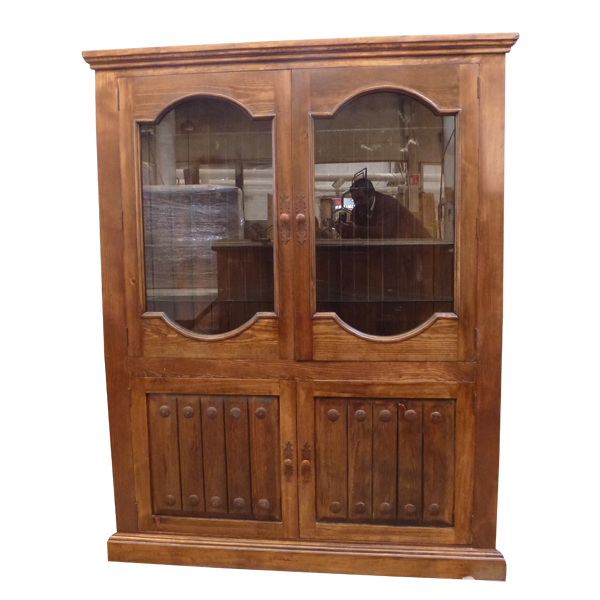 The buffet rest on a solid wood, molding base, and it has a classic finish. Inside the upper doors are four, wide, glass shelves, and inside each lower door is a wood shelf. The buffet is made with the best, sustainable, solid wood available, and it is 100% customizable.